It'll be interesting to see if Cynthia Nixon can come close in the NY race with Cuomo, who is the Corporatista Democrat. She was speaking some really plain truth on NPR yesterday. You would have approved. The Lefty TV stars might get elected, if they start running. America loves a freakin' TV star more than anything. Jim Carrey is making a lot of noise as an anti-Trumpofsky Political Cartoonist now. The Cook Political Report on Friday updated its rating for Texas's heated Senate race, moving it from "leans Republican" to "toss-up" amid new polls showing Rep. Beto O'Rourke (D) in a tightening race with Sen. Ted Cruz (R). The change in rating Friday came amid two other Senate race changes, with the prediction website changing the race for Sen. Jon Tester's (D-Mont.) seat from "likely" to "leans" Democratic, while the West Virginia Senate race moved from "toss-up" to leaning in favor of incumbent Sen. Joe Manchin (D). Cook's authors did not immediately give any explanation for the ratings change, but the move follows a series of polls showing Cruz with a small single-digit lead over his insurgent opponent, who has outraised Cruz by millions since the campaign began. A survey by left-leaning pollster Public Policy Polling found Cruz with just a 3-point lead over his opponent on Thursday among registered Texas voters. A Reuters–Ipsos poll the day before found O'Rourke with a 2-point lead. 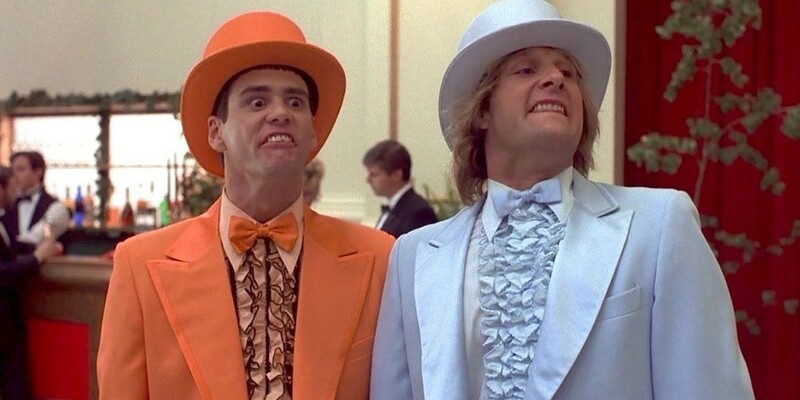 “There’s a possibility it could happen. I’m not saying probable. But it’s possible,” Larry Sabato, director of the University of Virginia's Center for Politics, told Reuters of O'Rourke's chances in the Reuter's poll release Wednesday. An average of polls of the Texas Senate race produced by RealClearPolitics shows Cruz with a 4.5-point lead over O'Rourke. O'Rourke is set to hit the campaign trail with Texas Rep. Joaquin Castro (D) and his brother, former Secretary of Housing and Urban Development Julián Castro, according to a press release, following polls that showed him with an insufficient lead over Cruz among Hispanic voters. The two Senate candidates are scheduled for their first debate on Friday. ️ Can Beto Beat-o Ted in Texas? Maybe TX voters aren't as stupid as they seem? Democratic Rep. Beto O'Rourke makes a point as Republican Sen. Ted Cruz listens Friday during a debate at McFarlin Auditorium at Southern Methodist University in Dallas. O'Rourke is looking to unseat Cruz in November in what polls suggest has become a surprisingly close race. It was more duel than debate Friday night in Dallas as Republican Sen. Ted Cruz and Democratic challenger Rep. Beto O'Rourke went after each other from the start. 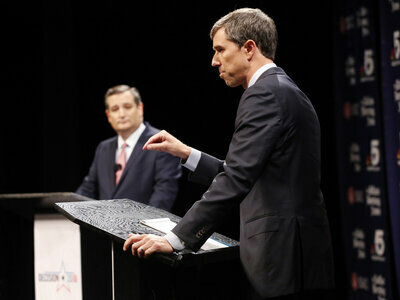 Snappy and heavy on snark, Cruz and O'Rourke held nothing back in the first of three debates. Friday's focus was domestic policy, and the candidates sparred on immigration, health care, gun control and even their opinions on professional football players taking a knee during the national anthem. Cruz painted O'Rourke as part of a revolutionary fringe — placing him to the left of House Minority Leader Nancy Pelosi and Sen. Bernie Sanders. He characterized O'Rourke as a politician "out of step with the people of Texas" who wants to abolish Immigration and Customs Enforcement, take away Texans' guns, and impeach President Trump. "We're seeing nationally socialists like Bernie Sanders, like Alexandria Ocasio-Cortez and, indeed, Congressman Beto O'Rourke advocating for those same policies," Cruz said. O'Rourke accused Cruz of caring more about tax cuts for corporations than his constituents, saying he wanted "to deport each and every single Dreamer," and accusing him of being an absentee senator who spent more time campaigning in Iowa than working for Texas. "In 2016, he missed half of the votes in the United States Senate," O'Rourke said. "You tell me who can miss half of the days of work and still be rehired for the same job going forward. That's not what Texans want." The surprisingly competitive Senate race has become one of the most-watched and talked-about contests of the 2018 midterms. Once considered a safe seat for Cruz, recent polls show the candidates running within single digits of each other. Just this week, the Cook Political Report reclassified the race, calling it a tossup. That's a big deal in Texas, which hasn't elected a Democrat to statewide office since 1994. And it's a big deal nationally too: Democrats are likely to retake control of the House in November, and if they can sweep Cruz-O'Rourke and other close races could wrest control of the Senate from Republicans too. The vast differences between the two candidates on almost every hot topic were on display, particularly immigration and border security. "When it comes to immigration, we need to do everything humanly possible to secure the border," Cruz said. "That means building the wall. That means technology. That means infrastructure. That means boots on the ground. And we can do that all at the same time that we are celebrating legal immigrants." O'Rourke says the U.S. needed to "bring people out of the shadows, allow them to get right by law." 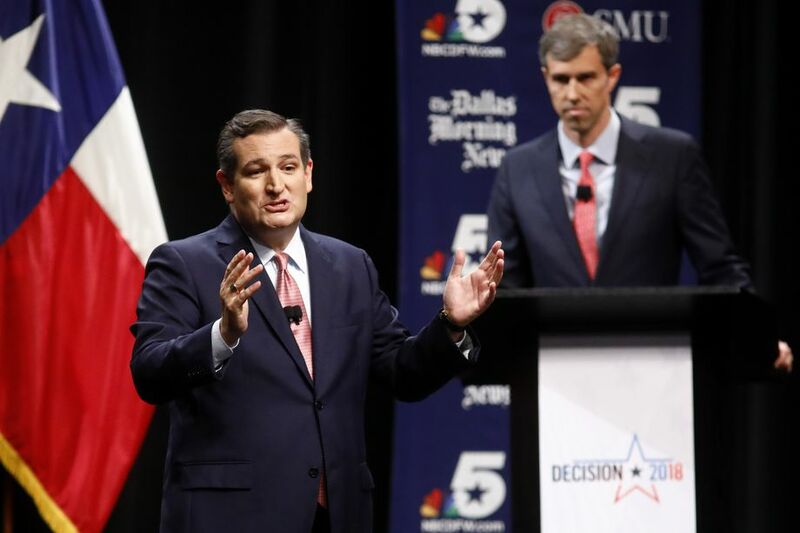 O'Rourke chided Cruz for supporting legislation that would have allocated billions of dollars to build a wall along the U.S.-Mexico border, and called for an earned path to citizenship. "The alternative, as Cruz has proposed, is to deport 11 million people from this country," O'Rourke said. "Imagine the cost, imagine the stain on this country for generations moving forward." The crowd watching the debate at Southern Methodist University Friday was most animated while Cruz and O'Rourke took on guns, police violence and mass shootings. The Dallas debate comes as North Texas has grappled both with the shooting of an unarmed black man by a white Dallas police officer and the killing of a Fort Worth police officer who was shot trying to stop a robbery. A few weeks ago, a white officer from the Dallas suburbs was convicted of murdering a black teenager. A question about the shooting of 26-year-old Botham Jean pivoted into Cruz chastising O'Rourke for calling for the officer's firing, using hateful rhetoric and "turning people against the police." He raised the specter of the 2016 ambush killing of five Dallas officers by a troubled Army veteran, reportedly upset by stories of police brutality. Cruz said O'Rourke wanted to get rid of the Second Amendment, prompting O'Rourke to say that wasn't the case. O'Rourke talked about learning to shoot as a kid, but also said it's time for universal background checks and a ban on assault weapons. Cruz and O'Rourke will face off again Sept. 30 in Houston and Oct. 16 in San Antonio. It was on the radio but I can't listen to Ted Cruz for more than about a minute without my gorge rising, so I didn't listen to much of it. From what I heard, Beto stuck it to Cruz pretty well on his record, which is very assailable. When he was running for President, he more or less abandoned his responsibility in the Senate, for months. That's one thing. I listened to Cruz try to thump the Bible and wrap himself in the flag, which is what he loves to do, and try to spin Republicans as the party of Lincoln (he used those words), the party that has always supported "equal rights for all Americans". I'm surprised he didn't talk about his wife's cloth coat. Maybe he did, I turned it off pretty fast. You should go to the Houston or San Antonio debates and Heckle. Make some videos! I don't want to be killed by a rabid evangelical. No thanks. There was a guy who used to walk through the campground, bent over, with a full size cross across his shoulders. Strangely, it had a little wheel on it so he could roll it instead of carrying the full weight of it, or dragging it behind him. I never listened to his rant.....I'm guessing he wanted to let us know Jesus died for our sins. Dude, the whole world already knows. Go home and watch Joel Osteen on the TV. And...if you're gonna insist on doing that, lose the wheel. It's cheating. It’s either a massive self-own or a racist dog whistle. One of the candidates running for the United States Senate in Texas on Friday tweeted out a video of Beto O’Rourke speaking passionately about the murder of Botham Shem Jean in his home by a police officer and calling for justice. That candidate was Ted Cruz. The Republican senator raised eyebrows after on Friday he posted a video on Twitter showing O’Rourke, his Democratic rival, speaking to a crowd about Jean’s murder. Jean, a 26-year-old black man, was killed by off-duty police officer Amber Guyger in his own Dallas apartment on September 6 after she claims she mistakenly walked in, believing it was her home. How can it be, in this day and age, in this very year, in this community, that a young man, African American, in his own apartment is shot and killed by a police officer? And when we all want justice and the facts and the information to make an informed decision, what is released to the public? That he had a small amount of marijuana in his kitchen. How can that be just in this country? How can we continue to lose the lives of unarmed black men in the United States of America at the hands of white police officers? That is not justice. That is not us. That can and must change. Are you with me on this? If the point he was trying to make was that O’Rourke was anti-law enforcement, this is an odd way to do it. The lawmaker in the clip is calling for justice for an unarmed black man who was killed while sitting at home in his own apartment, doing absolutely nothing wrong. And he was pointing to a broad problem in the United States of police brutality and racial disparities in policing, not attacking police officers. Some people on Twitter laughed Cruz’s tweet out as a tone-deaf unforced error. “Senator, you are a Grand Master of the Self-Own,” actor Michael McKean tweeted. Others, however, pointed out the racial undertones of Cruz’s tweet: Because unless he was actually trying to boost his opponent, Cruz was seemingly suggesting that O’Rourke was wrong in calling for justice for an unarmed black man shot in his home by a white police officer. Cruz has been revealingly careful about his remarks on Jean’s murder. He’s criticized O’Rourke and other Democrats for being too “quick to always blame the police officer,” even though Guyger has been charged with manslaughter and has admitted she killed Jean, though she says the shooting was accidental. O’Rourke wants to talk about racial injustice. Cruz seems like he might be trying to appeal to racists. Cruz hasn’t offered up any explanation for tweeting out the O’Rourke video, nor has he taken it down. He’s followed it up with several tweets supporting law enforcement. It would seem as though he’s trying to emphasize a dividing line between black people and the police and indicate that he’s clearly on the side of the police — even if they’re in the wrong. For O’Rourke, racial injustice has been an important talking point in his campaign. A video of him discussing black NFL players who kneel during the national anthem in protest of racial injustice went viral over the summer. As Vox’s Tara Golshan wrote, from the very start of a debate with Cruz on Friday, O’Rourke made it clear he was speaking to people of color in Texas. “Whether speaking directly about police brutality, gun control, marijuana legalization, the opioid crisis, or responding to his own past arrest for driving drunk, O’Rourke demonstrated that racial injustice is among his biggest priorities,” Golshan wrote. With the tragic shooting death, you have another unarmed black man killed in this country by law enforcement. No member of law enforcement wants that to happen. No member of this community wants that to happen. We got to do something better than what we’ve been doing so far. African Americans represent 13 percent of the population in this country. They represent one-third of those who are shot by law enforcement. We have something wrong. If we have the largest prison population on the face of the planet and it is comprised of people of color, we have something wrong in this country. Only Heckling? No Torches and Pitchforks? Sen. Ted Cruz (R-TX) was forced out of the D.C. restaurant Fiola on Monday night by protesters denouncing his friendship with Supreme Court nominee Brett Kavanaugh. An activist group posted a video on Twitter showing Cruz and his wife being chased out of the restaurant by protesters chanting “We believe survivors!” At one point, a man tells Cruz that Beto O’Rourke, the Democrat running against him in November, is “way hotter” than him. Another asks if he will “confirm [his] best friend Brett Kavanaugh?” Cruz then tells the loud crowd “God bless you” and asks them to let his wife through. In a separate clip, a woman claiming to be his constituent asks him how he will vote on Kavanaugh’s confirmation and if he “believes survivors.” Cruz responds, “God bless you, ma’am.” Protesters also gathered outside Cruz’s Austin office earlier Monday to support Christine Blasey Ford and Deborah Ramirez, who have both accused Kavanaugh of sexual misconduct. We believe accusers is what they mean. No proof necessary. Everybody knows. You don't believe the accusers, then? How does that position play at home? As I stated on the other thread, I see this particular episode through a skeptical lens. Here is what i believe about the three accusers of Kavanaugh. I expect that Ford was (mildly) assaulted by somebody, way back when, but it might ( or might not) have been Kavanaugh. I think coming forward with no corroboration says a lot about her politics. She came forward NOW because of politics, not because she is doing the kind of work that might lead to healing. I think the second accuser is definitely politically motivated, whether her allegation is true or not. Her case of harassment is also very weak. Neither accuser has the kind of corroboration I'd want to see to make me think this dog and pony show is more than that. The third accuser I'm unsure about, but with Avenatti as attorney, money is the object, without question. Go to the link to see the graphs. Boosted by growing support among suburban women and widespread antipathy toward President Trump, Democrats approach the midterm election poised to make major gains nationwide, a new USC Dornsife/Los Angeles Times Poll shows. Democrats had a 14-point margin, 55% to 41%, when likely voters were asked which party’s candidate they would cast a ballot for if the election were held now. If that advantage holds up until election day, just less than six weeks away, it would almost surely be large enough to sweep a Democratic majority into the House. Voters also oppose Republicans on a number of major issues. But overriding all of them is the president, whose outsized personality has dominated the nation’s news since he declared his candidacy more than three years ago. Roughly 3 out of 4 likely voters said they saw their vote this fall as an opportunity to express a view of Trump. For many, that view is negative: Those saying they planned to register opposition outnumbered Trump supporters, 45% to 29%. Likely voters disapprove of Trump’s overall performance in office by 57% to 39%, the poll found. Almost half of likely voters, 49%, said they “strongly” disapprove, while just under one-quarter, 24%, strongly approve. Especially notable are the views of women, whose preferences have expanded the Democratic edge since a USC Dornsife poll surveyed most of the same voters this summer. In the summer, men were closely divided between the two parties; they remain so now. But women, who already leaned significantly toward the Democrats, have shifted further in their direction, widening a large gender gap. The poll found women now favor the Democrats by 28 percentage points, 62% to 34%, among likely voters. Three overlapping groups of female voters who have long been important for Republicans have moved away from the party: suburban residents, married white women and white women without college degrees. Democrats enjoy a 61%-35% edge among suburban women, the poll found — a margin that has grown by 9 points since the summer. Democrats have narrowed the gap with Republicans among married white women, long a mainstay of the GOP, who now favor Republicans by a narrow 51% to 46%. Those numbers help explain why suburban congressional districts long held by Republicans — from Orange County and Santa Clarita to the suburbs of Dallas and Houston and east to suburban Philadelphia — have become key targets in Democrats’ effort to retake control of the House. A similar pattern holds among white women who did not graduate from college. Blue-collar white women gave Trump a crucial margin of support in 2016. A majority continues to support Republicans — by 56% to 39% — but since the summer, Democrats have cut their deficit with that group by a third. The poll was largely completed before accusations of sexual misconduct against Judge Brent Kavanaugh, Trump’s nominee to the Supreme Court, began dominating the news. Many political professionals in both parties think that controversy could further alienate women from the GOP. Especially striking: Democrats have also made significant gains among older voters, a bastion for Republicans over the last two decades. Among likely voters 65 and older, Democrats lead 51% to 45%. “That’s very disturbing” from a Republican standpoint, said longtime party strategist Mike Murphy, the co-director of USC’s Center for the Political Future. “If Republicans are not doing well with seniors and not doing well with college-educated voters in the suburbs, there’s just no good news” for the party, he said. One factor not driving the vote: the economy. Republican congressional leaders had hoped to build their campaigns around the current economic good times, but that message has largely been drowned out by the noise surrounding the White House. Voters grade Trump less negatively on his handling of the economy than on many aspects of his presidency, with opinion divided almost evenly, 45% approving and 44% disapproving. On five other areas that the poll asked about — handling of illegal immigration, trade, healthcare, race relations and the investigation into Russian efforts to interfere in the 2016 campaign — Trump’s ratings were under water. The share of likely voters approving of Trump’s conduct ranged from 39% for his handling of illegal immigration down to just 24% on the Russia investigation. A similar 27% shared Trump’s often-expressed view that the investigation by special counsel Robert S. Mueller III is unfair. Just less than half of likely voters, 48%, said they viewed Mueller’s work as fair. About 1 in 4 said they either were uncertain or had no opinion. Trump’s ratings for handling race relations were also notably low, with just 26% approving. Among African American voters, 91% disapproved. Democrats need to pick up a net of 23 seats to gain a House majority. Their 14-point lead in the poll indicates they’re well positioned to hit that goal. Since congressional races are fought district by district, however, the national preference can provide only a rough forecast. In recent elections, Democrats have won fewer House seats than their share of the national popular vote. That’s in part because Democrats tend to concentrate heavily in major cities, where their candidates often win huge majorities; the extra votes pad the national total but don’t win additional districts. Gerrymanders favoring Republicans in several states also play a significant role. A strong enough tide for Democrats could also tip control of the Senate their way, although that goal remains more distant because seats up for election this cycle disproportionately lean Republican. The poll’s findings line up with some other major surveys conducted in recent weeks, including an ABC-Washington Post poll in late August that also found Democrats with a 14-point lead when voters were asked which party’s candidates they expected to vote for, and an NBC-Wall Street Journal survey released Sunday that found a 12-point lead. Midterm elections usually act as a referendum on the party in the White House. That’s even more true now because of the way Trump has insistently put himself on center stage. For his adopted party, he has become a significant drag. While Trump has dominated the GOP since he conquered its establishment in the 2016 primaries, a small yet significant share of Republican voters still dissents. Reflecting that split, Republican-leaning voters show less unity in support of the party’s candidates than Democratic-leaning voters show toward that party’s choices. The Republican defections are not huge, but could make the margin of victory in close contests. Nearly 9 in 10 voters who said they typically side with Democrats strongly disapprove of Trump. About 6 in 10 of those who typically side with the GOP strongly approve of him. Underscoring just how central the president is to the midterm outlook, 8 out of 10 voters who favor or lean toward Democrats said they saw their vote as expressing opposition to Trump, while about two-thirds of voters who favor or lean toward Republicans said the opposite. The same divisions cropped up when Republican voters were asked about the future. More than a third said they would like to see another candidate challenge Trump for the presidential nomination in 2020. That’s an unusually large figure this early in a president’s term, said Shrum, who worked for Sen. Edward M. Kennedy of Massachusetts when he challenged President Carter for the Democratic nomination in 1980. Trump has not expanded his base of support. His strongest backing continues to come from white men without college degrees, rural residents and white evangelicals. That last group makes up about 1 in 5 likely voters. Opposition to Trump — and support for Democrats — hits its peak among women with college degrees, urban residents and minorities, especially African Americans. Both men and women in rural areas favor the GOP, while in the cities, both favor Democrats. The gender gap is in the suburbs, where most women disapprove of Trump and favor Democrats, and most men take the opposite views. Voters on either side of the partisan divide have notably different priorities on issues. Asked to pick from a list the one issue they considered most important, Democratic voters put healthcare at the top, followed by the economy and jobs. Republican voters put the economy and jobs at the top, followed by taxes and spending and illegal immigration. Immigration’s ranking as a top priority for many Republicans has put the party in a difficult bind: Several positions advocated by its immigration hard-liners and the administration are rejected by the rest of the country. Trump, for example, has proposed measures to reduce legal immigration. That’s backed by some of his strongest supporters and key administration figures, but by only about 2 in 10 likely voters. Roughly half of likely voters want to keep the level of immigration as is, while about 3 in 10 would like to see it increase. Similarly, by 78% to 18%, likely voters supported allowing people who came to the U.S. illegally as children to stay and eventually apply for citizenship, a position the administration has opposed. More than 4 in 10 likely voters strongly support a path to citizenship. Voters divided closely on whether illegal immigration is among the country’s most serious problem: 48% ranked it as the most, or one of the most, serious; 44% called it a problem, but not one of the most serious, and 6% said it’s not a problem at all. About one-third of likely voters supported the hard-line view that all immigrants in the country without legal authority should be deported. About one-quarter would deport anyone who had been convicted of a crime, while roughly another third would deport only those convicted of serious crimes — roughly the position the government took in the final years of President Obama’s tenure. Only 3% said no one should be deported. Just 40% supported Trump’s call to build a wall along the border with Mexico — one of his signature proposals. Support falls slightly, to 37%, if taxpayer money is used. Trump repeatedly has said Mexico would pay for the wall, but the administration has asked Congress for $5 billion to begin construction. So far, Congress has refused. The president will need to decide in the next several days whether to sign a government funding bill that would provide money to keep federal agencies open in the new fiscal year, which starts Monday, but would not include funds for the wall. He has periodically threatened to shut down the government rather than accept that, but the poll suggests most voters would object. This USC Dornsife/Times poll, overseen by survey director Jill Darling and co-sponsored by the university’s Center for the Political Future, was conducted online among 5,045 adult Americans, of whom 2,513 were deemed likely to vote this fall. The poll respondents were drawn from a probability-based panel maintained by USC’s Center for Economic and Social Research for its Understanding America Study. Responses were weighted to accurately reflect known demographics of the U.S. population. The survey was conducted Aug. 22-Sept. 24. The margin of error for the likely voter sample is 2 percentage points in either direction. A full description of the methodology, poll questions and data are posted on the USC website. So, Ted Cruz and his family were surrounded in a Washington, DC restaurant and left. Much hand wringing ensues about civility. Elites must experience the consequences of their behaviour. The simplest reason the US is a shitshow and getting worse is that, for important people, it’s been getting better since about 1980, while it’s been getting worse for everyone else since about that time. Because it only gets better for people who matter, they keep doing more of what they are doing. Forcing people who make life worse for everyone else to at least suffer public approbation is a baby step in the right direction. Shame people who make your lives worse. When you riot, don’t riot in your neighborhood, go to theirs, then riot. And so on. People like Cruz and Obama are responsible for a ton of deaths. Generally incremental deaths, deaths due to policies which impoverish and immiserate people, but deaths nonetheless. They are responsible for even more suffering. Being unable to eat a meal at a restaurant is pretty minor in comparison. It’s not enough. But don’t think public shaming like this does nothing. People forget that Obama was anti-gay marriage at first. He changed his mind because gay activists got in his face and the faces of his family. They crashed public fundraisers, they made a fuss, they made his life, and the life of people he cared, about unpleasant. They backed it up with a donor strike. Obama caved and became pro-gay marriage, and fools and idiots pretend he always was. But he changed only because of personal and political considerations. Obama is no more moral than most politicians; he does what serves him best. If you want politicians and rich people to do what you want, apply pressure. Make them hurt. They don’t respond to appeals to their better nature because, even if they had one, it doesn’t apply to ordinary people because they don’t identify with ordinary people. Politicians understand that, in most cases, their personal interests are directly opposed to the interests of ordinary people. These are the truest words anyone here will read today. They were very civil. They didn't burn him at the stake.